Have you ever wondered how certain people connect with trees? 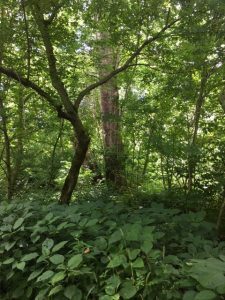 I had heard folks talk of spirits of trees, how they felt love for trees, and identified them by gender, and although I had always been fond of trees, I never felt a strong connection with them until I noticed something one day. In my mid-fifties I thought it was high-time for some real peace and joy in my every day life, and started doing things like attending a yoga class regularly, eating more greens and natural food, and regularly walking in parks. The more I immersed myself in activities that fed my body and soul, the more peaceful I was, and the better I was at handling life’s ups and downs. I decided to try a walk in a secluded area of a park near me one day, when I was feeling a bit low, thinking that the more immersed I was in nature, the more benefits I could reap. As I entered the area, I felt scared. I was completely alone, no cell phone or way to protect myself against an attack by someone in the woods or an animal. As I tried to focus on the trees, I realized my fear was keeping me from fully experiencing what was around me, and I wanted the blockage to be gone. So I thought about it, and realized that the worst thing that could happen is that I would be attacked somehow, and die. I realized that if I died, I would simply become part of nature, so there was really nothing to fear. I also decided I would walk this secluded part of the trail only one time during my walk at the park, so if someone spotted me and had bad intentions, they wouldn’t have the chance to approach me. 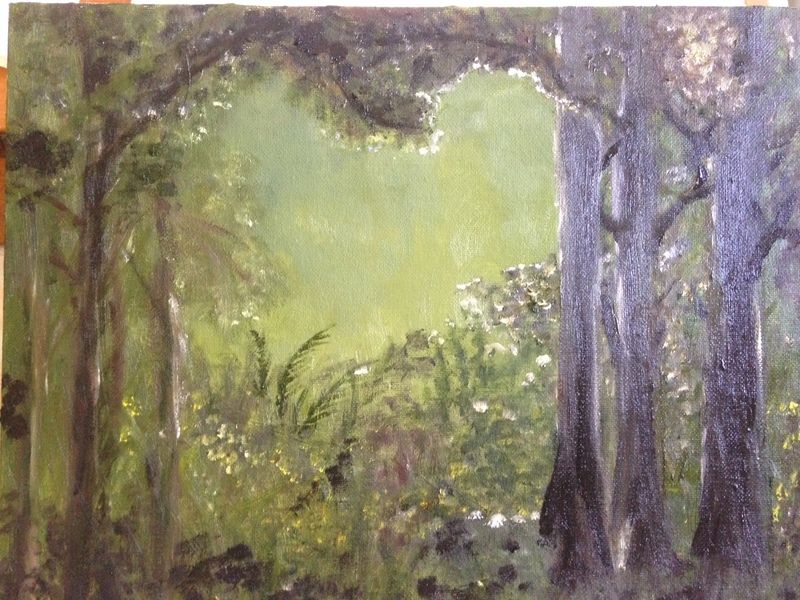 As my fear left me, I began to notice every tree, wild flower, brush, grass, you name it. The trees were mainly enormous Sycamore trees, and as I rounded the back corner, and worked my way toward the entrance, I felt an enormous feeling of love for myself, somber and strong, yet so deep, that I could feel my heart lifting as my mood changed, and I walked out of the area feeling sure of myself in the universe like I had never felt before. What was that, I wondered!! My spirit was healed simply by walking alone in a wooded area that day, and the sadness I had left earlier was gone. As the weeks and months passed, I continued to walk in this area of the park when time allowed. I walked there during all weather conditions and seasons, and each time I approached the bend in the path, I felt the same enormous love for myself, walking out with a renewed sense of purpose in the world, and profound respect for my soul. I wondered exactly how this was happening, slowed down, noticing everything along that trail, and realized the feeling came when I looked at one particular huge Sycamore tree. I had found my spirit tree! Find a secluded place you can walk alone in a wooded area. Take a minute to feel any fear or other feelings blocking you from opening fully and experiencing what is around you at that moment, and imagine a way to free yourself from the feeling. Connect with nature around you by using five senses. Touch the bark of a tree or a flower, smell the air, taste your lips, listen to the sounds of bird or leaves rustling in the wind, and look at everything, noticing colors, any water or moisture, textures, shapes, everything. Open your soul to feel whatever is there, and let your emotions surface until you feel love for yourself. After finding a place that makes you feel loved, return to that place periodically until you can identify exactly the source from which the love is radiating. Touch that tree, say thank you, and acknowledge it each time you walk there. Finding your spirit tree, or a place in nature where you feel love, is a great way to get perspective on your life, dissolving negative emotions, and creating happiness. My connection with trees has evolved to the point where I feel all trees are aware of me, as I acknowledge them, aware of their connection to each other and all of life. It is easy to get caught up in the stress and worries of modern life, forgetting where we come from, and the purpose of our lives in the big picture of life. Finding a quiet place to feel the peace of nature, a place that you can go to anytime can be the best form of therapy. Pure and real, peace and love just for you from the universe and beyond, transmitted to you by a magical tree. 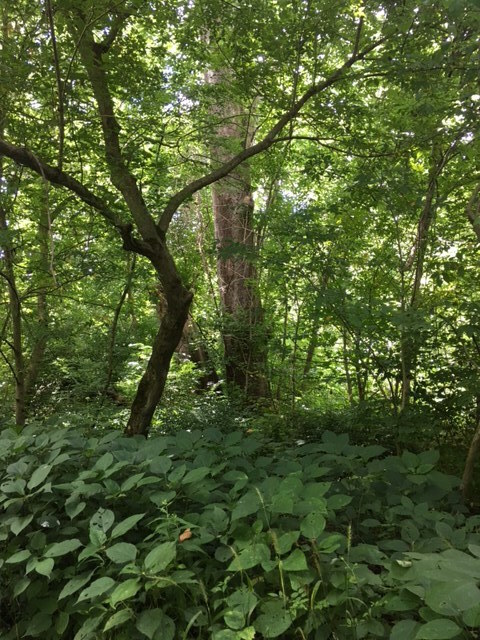 This entry was posted in Life Blog and tagged finding a spirit tree, healing trees, holistic healing, soul healing, tree spirits, walking in parks on June 29, 2017 by Kathy. 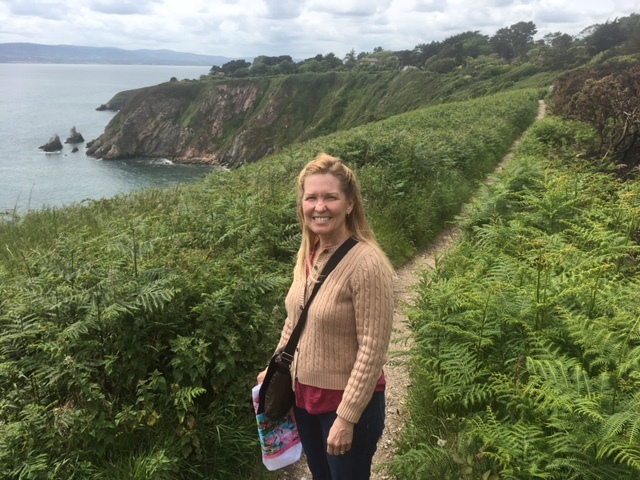 While flying from Cincinnati to Dublin, Ireland, recently, I found myself somewhat unprepared for the discomforts of air travel. The universe spoke to me, however, and solutions popped up in unexpected places, I made note, implemented them on the journey home, and am here to tell you what I found. I was already prepared for leg cramps by wearing compression socks and taking potassium tablets before take off, and that worked. No cramps this time. I took an allergy pill to help with ear pain or clogged ears, and had a travel pillow and blanket. The allergy pill wasn’t enough, however, as we experienced intense ear pain during the final descent, and had clogged ears for a few hours after landing. I used the pillow, and was very glad I had it since the airline pillows are small and flat. As chance would have it, soon after landing, I saw an ad about special earplugs to use while flying that helped with the ear pain, and are sold in airport stores. So on our way out of Dublin, we stopped in the airport store and bought two pairs of EarPlanes. We followed the instructions, and they actually worked. We just had minor ear pain on descent this time, and our ears unplugged sooner. Another problem that may arrive while traveling is waiting in hot lines or getting over-heated waiting for take-off, which can cause stress, and even panic in some. I found a great way to feel cool, comfy, and in control is to wear a portable fan around my neck. I have the O2 Cool model, which can be ordered, is 5″ x 2.5″ x 1″, lightweight, battery operated, and sends s cool breeze upward toward your face when wearing it. There’s something about having a breeze on your face that is calming, so I used it often to stay cool and relaxed. So we’ve covered some gadgets, now how about the magic? I have found having a positive attitude, and expecting things to go smoothly sets the tone for an enjoyable travel experience. The imagination can work for you or against you, and why not be kind to yourself and use it to imagine the best. If you have a fear of flying, imagine you are flying with Luke Skywalker as he easily navigates the galaxy. Experts say to stay hydrated while flying because cabin pressure causes a fast lose of moisture in the air, so it’s best to pass on the cocktails, and drink plenty of water in order to feel your best. No alcohol it ease your nerves? Again, kick in those imagination and relaxation techniques. Keep calming techniques in mind and handy during all parts of your travels. For example, if you find yourself sitting on a tour bus and having to use the restroom, try doing some yoga breathing to calm yourself until they stop for a restroom break. Yoga breathing is taking a breath in through your nose, and then out through your mouth for a while. Another way to calm oneself is simply to hum a pleasant tune, read anything available, or do some story-telling with your companion, or just tell yourself that everything will be OK instead imagining the worst things that could happen, and worrying if you find yourself in uncomfortable situations. On my trip to Dublin, I found myself trying all of the comfort techniques above, and they worked. I even had my little fan going one night in bed when the temperature of the room was warm, and the hotel did not have air conditioning. Traveling to new places, seeing new things, talking to new people enriches your life and feeds your soul. A trip can be a delicious, intense, amazing little slice of life, and having a handle on the stresses of travel can be just the ticket to living your dreams. 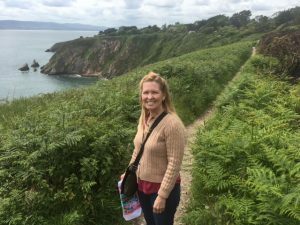 This entry was posted in Life Blog and tagged air travel tips, Dublin Ireland, Dublin vacation, ear pain relief, earplanes, portable fans, stress relief while traveling, travel tips for seniors, vacation tips on June 19, 2017 by Kathy.